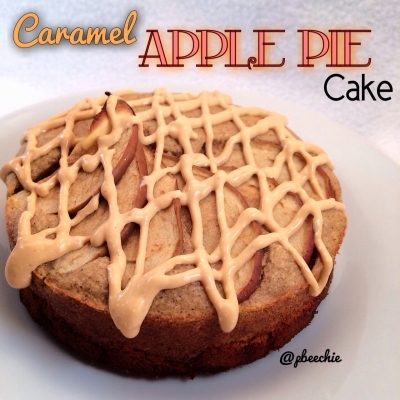 A moist apple pie cake with a perfect spice flavor and a hint of caramel. Preheat the oven to 350 F. Grind the oats into a flour. Then add the remaining ingredients (the second vanilla extract should be caramel extract and the cinnamon should be apple pie spice instead) except for the quest bar and the apple slices; blend again. Microwave the quest bar for 10 seconds to soften. Manipulate and flatten; press into a 4.5" mini springform pan that's been sprayed with a nonstick spray. Then pour your blended batter on top of the quest bar. 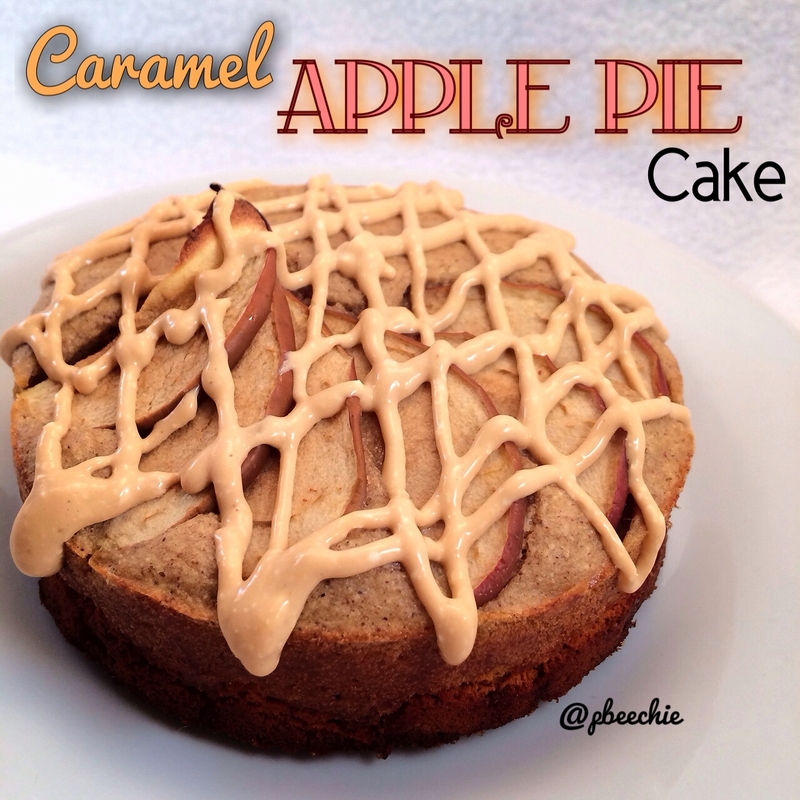 Place thinly sliced apple slices on top of the batter as desired. Bake at 350 FÂ for 16-19 minutes, or until the cake is firm. Let cool. To make the icing, use a handblender to blend the cottage cheese, walden farms syrup, and stevia packet. Once the cake is cool, use it to ice the cake. Although it's perfectly fine without any icing!! Cut into 4 pieces. Enjoy!